In February of 1991, after a year of study, the South Carolina Affordable Housing Resources Council made a number of recommendations to increase the amount of adequate, affordable housing in the state. One of the primary recommendations was to create a public/private partnership to, “act as a housing developer in areas of the state where no local partnership or agency exists which is capable of producing or rehabilitating the needed housing.” In August of 1992, the South Carolina Low Income Housing Coalition established as one of its goals to encourage the creation of a sophisticated non-profit affordable housing developer which would have the capability of utilizing multiple sources of financing to build or renovate single and multifamily housing for low income families and individuals in the state. After careful study, the Coalition voted to endorse the establishment of the Nehemiah Corporation at their December, 1992 board meeting. Nehemiah was incorporated on February 17, 1993 as an interfaith-based non-profit affordable housing developer with a mission of providing decent, affordable housing to low income South Carolinians. Consistent with Nehemiah’s continuing belief in community-based non-profit planning and ownership, Nehemiah has established partnerships with numerous municipalities, institutions, non-profit and for-profit developers throughout South Carolina and adjoining states to revitalize neighborhoods and construct housing for workforce and special needs households. Since 2004, Nehemiah has expanded its mission to creation of economic development opportunities. 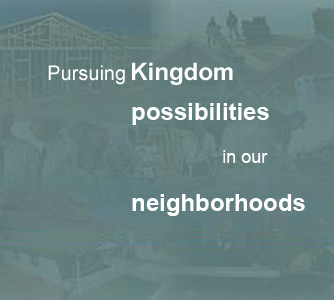 This new focus is particularly intended to target lower income neighborhood residents served by faith-based community development corporations throughout South Carolina. Today Nehemiah not only acts as a developer, but also manages most of the housing units the corporation owns. The future is bright as Nehemiah continues to challenge communities to “arise and build” neighborhoods of peace and hope.